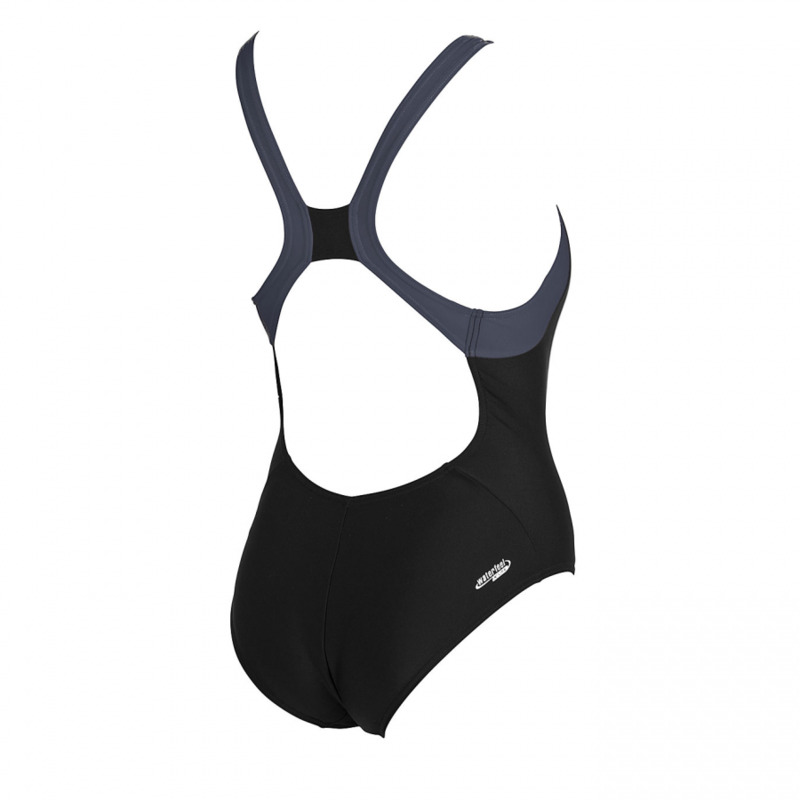 The Arena Migreg black swimsuit is a flattering design with deep grey and white detailing. It is made with the latest Arena Waterfeel X-Life® fabric which is dedicated to training activities. Its high Lycra® fibre content is synonymous with comfort, fit and freedom of movement. Waterfeel X-Life® offers 10 times more resistance to chlorine degradation and an enhanced protection from fit loss due to the harsh pool environment. It has a V-Line back which is particularly comfortable. It follows the natural shape of the body thus delivering ergonomic fitting and good support.